The latest government land sales (GLS) tenders saw 3 private residential plots drawing strong interest from property developers, except for 1 site which has only pulled in just 1 property developer. The Cuscaden Road GLS site, situated within the prime residential enclave in Orchard Road has drawn a top bid of $410 million or $2,377 psf ppr from a tripartite formed by luxury property developer SC Global, Far East Consortium (FEC) International from Hong Kong and New World Development. 8 other renowned property developers, including the likes of GuocoLand, Bukit Sembawang Estates, and Wing Tai Holdings have also taken part in the Cuscaden Road GLS tender. 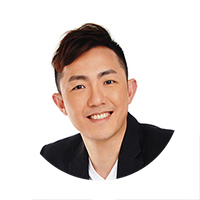 The top bid amount not only broken the all-time record for residential sites sold under the GLS programme, but it has also surpassed market expectations earlier – between the range of $1,800 to $2,300 psf ppr. The Cuscaden Road surround by some of Singapore’s finest luxury hotels, such as Regent Hotel, St Regis and Four Seasons, and it’s situated right next to the brand new luxury condo – 3 Orchard By-The-Park. Based on the acquisition price, market watchers are expecting the future new launch at Cuscaden Road will be priced in the range of $3,300 to $3,700 psf and this will definitely be the benchmark for City Development Ltd (CDL)’s latest freehold luxury project, Boulevard 88 – located near to the Cuscaden Road GLS site. Over at the Mattar Road GLS site, it saw 10 property developers rivaling out aggressively – with the top bid of $223 million or $1,109 psf ppr coming from a consortium formed by Hock Lian Seng Holdings, together with TA Corporation and Keong Hong Holdings. It was noted that the top 5 bids for the Mattar Road GLS site are only varied by a mere 5%. With the limited number of residential sites available next to Mattar MRT Station and is situated near the commercial hub at Paya Lebar, it’s unsurprisingly that this site was competed fiercely among property developers. Market watchers are expecting the future new launch at Mattar Road to be priced between the range of $1,700 to $1,800 psf. 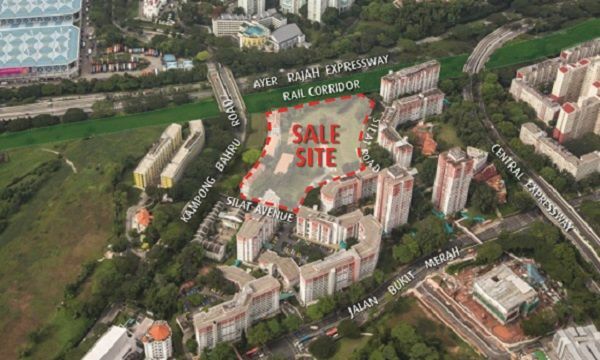 Things weren’t as exciting at the Silat Avenue GLS site where a lone bid of $1.04 billion or $1,138 psf ppr was submitted by a tripartite among UOL Group, UIC, together with Kheng Leong. Analysts believe that the weak demand for this site could be due to the massive capital outlay required and also the development constraints being imposed on the preservation of 5 conservation buildings on the site itself. Another 2 conditions noted was that the number of private homes to be constructed is to be no more than 1,125 and a cap of 1,300 square metres has been placed on the gross floor area being used for commercial purposes as well. As it prepares for its latest new launch project in East Coast – Amber 45, UOL Group mentioned that the future new launch condo at Silat Avenue will comprise of 2 residential towers in total – up to 56 storeys tall and the 5 conservation buildings will comprise of 1-bedroom apartment units and also common facilities within the condo.